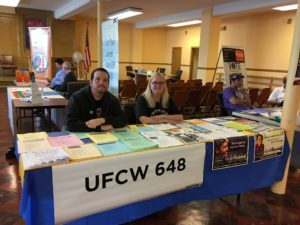 On Oct. 22, UFCW Local 648, in partnership with Californians for Safety and Justice and the San Francisco Labor Council, hosted a Proposition 47 Live Scan, record change and job fair clinic in San Francisco to help people with prior nonviolent felonies to petition to get their records changed. At the event, attorneys volunteered their time and met with each attendee, one on one. The San Francisco Labor Council, City College of San Francisco, Up Vote and the San Francisco Airport Office of Employment all had informational booths, as well. Union members that attended the Proposition 47 Live Scan event and attorney meetings said they were thankful for the opportunity to change their records and move forward with their lives. 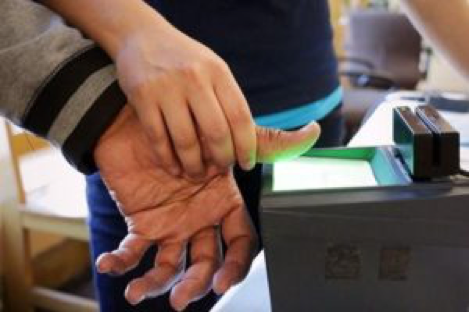 In November 2014, California voters passed Proposition 47, a measure that reduces certain low- level crimes from potential felonies to misdemeanors. The savings from reduced incarceration costs are invested in drug and mental health treatment, programs for at-risk students in K-12 schools, and victim services. Over one million Californians quality for Proposition 47, but only about 250,000 people have petitioned to have their records changed. Proposition 47 was due to sunset in November 2017, but Governor Jerry Brown recently signed AB 2757 to extend the time to petition for another five years. The UFCW has partnered with a number of local and national organizations in an effort to bring to light the issues that are plaguing our communities and transform the criminal justice system. UFCW International Vice President and Director of the Civil Rights and Community Action Department Robin Williams believes restorative rights are especially important for workers. “When you get out of jail, how do you take care of your family if you can’t get a job?” Williams said. Together with our allies, the UFCW is dedicated to shifting the focus away from punishment and toward educational opportunities that help people change their lives and get back on track.